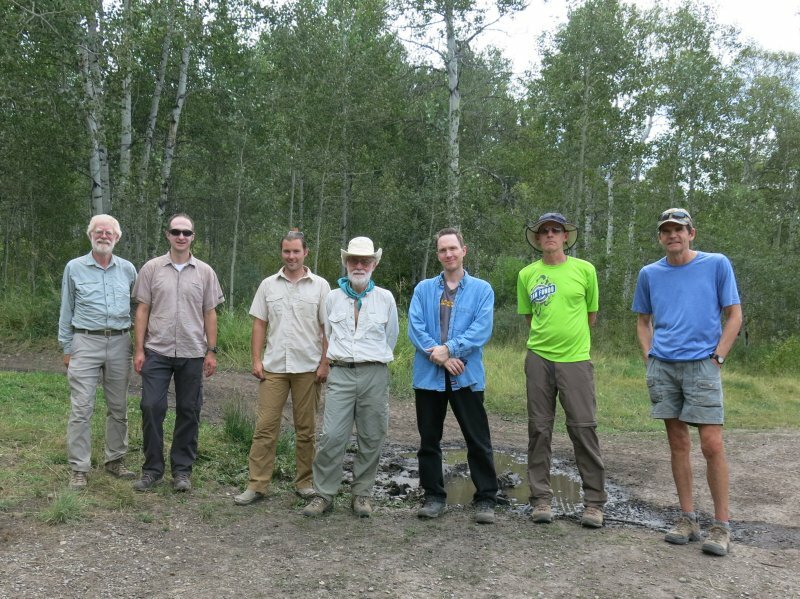 Seven hikers met for the Peter Sinks hike on Aug 29: Dave W, Dave P, Nikolai, Ryan, Alex, Chris and Dan, the hike leader. We started hiking at about 9 AM from Beaver Junction Winter Trailhead just off Highway 89 and started up into Stump Hollow. We took a detour up on to a little known trail to the right and higher on the hill for a portion of the first mile. I for one had no idea that this trail existed. The group climbed through the forest with mountain bikers passing several times. We stopped for a rest at a spot where we had the first view to the west of some of the major peaks in the Bear River Range. After 4.5 miles of hiking we finally came out into Peter Sinks and sat on a knoll for lunch. 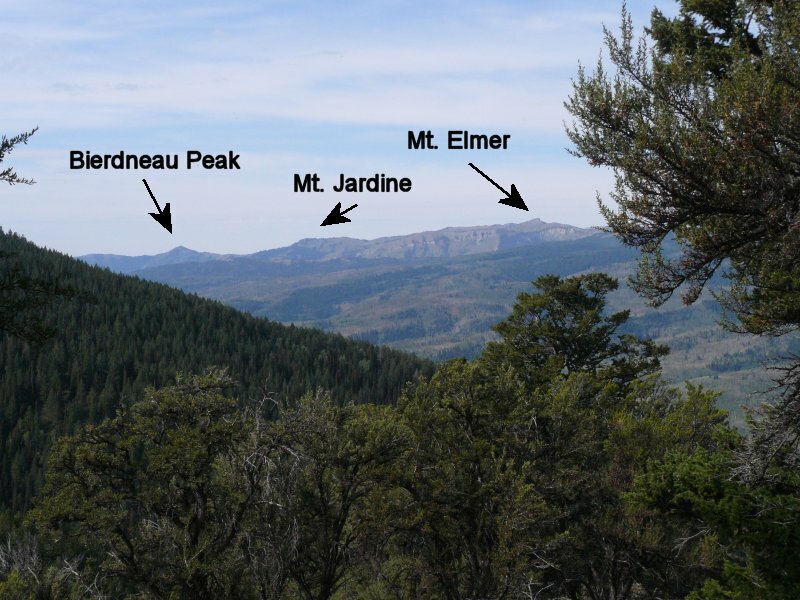 We had originally planned to hike south from Peter Sinks. 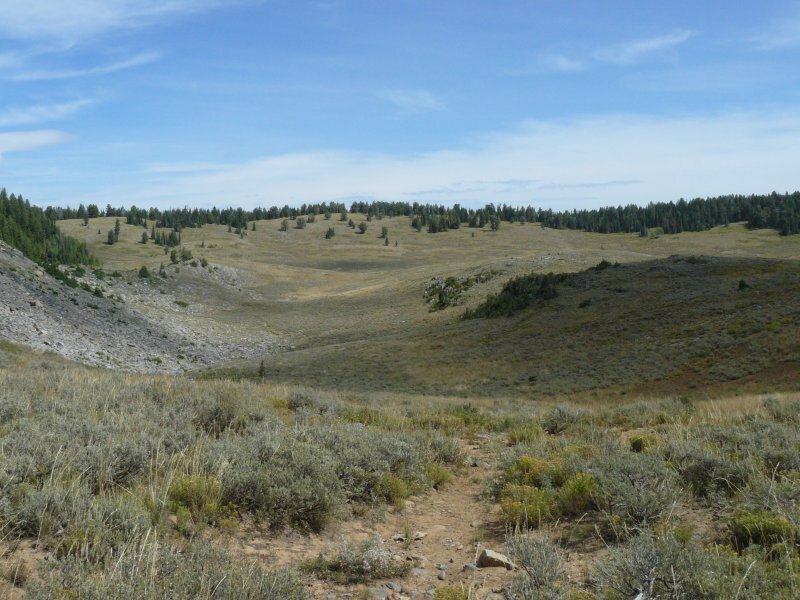 We did not have an extra "shuttle" vehicle to leave at West Hodges Trailhead, so we assumed everyone would hike back from Peter Sinks to the trailhead at Beaver Junction. 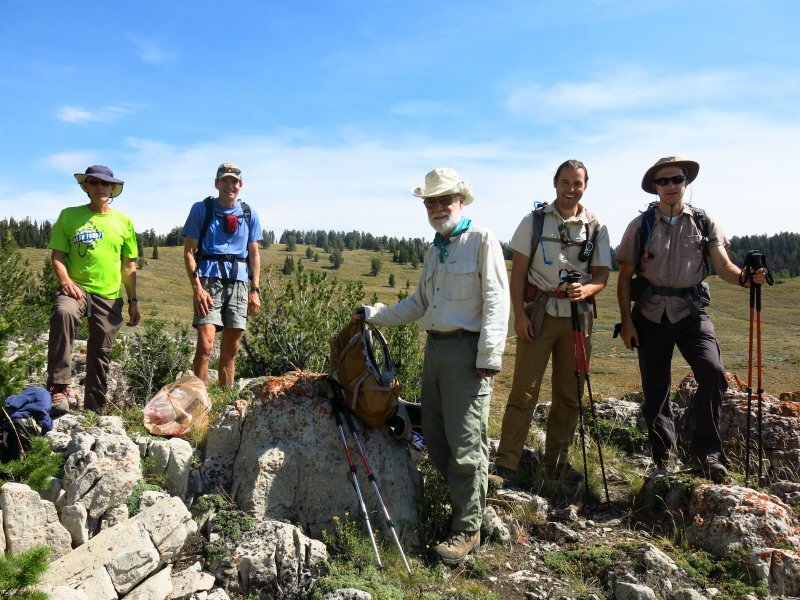 After lunch we realized that some of the group could continue hiking south if the drivers went back and drove down to meet them at the West Hodges trailhead near the forestry camp. So, Dave W, Alex and Chris went back through Stump Hollow and the others continued south through the Sinks as originally planned. The trail for those continuing on became a double track/ATV width as we hiked south through sagebrush. Gun shots were heard to the east. The trail began to drop down and we passed ATVs. 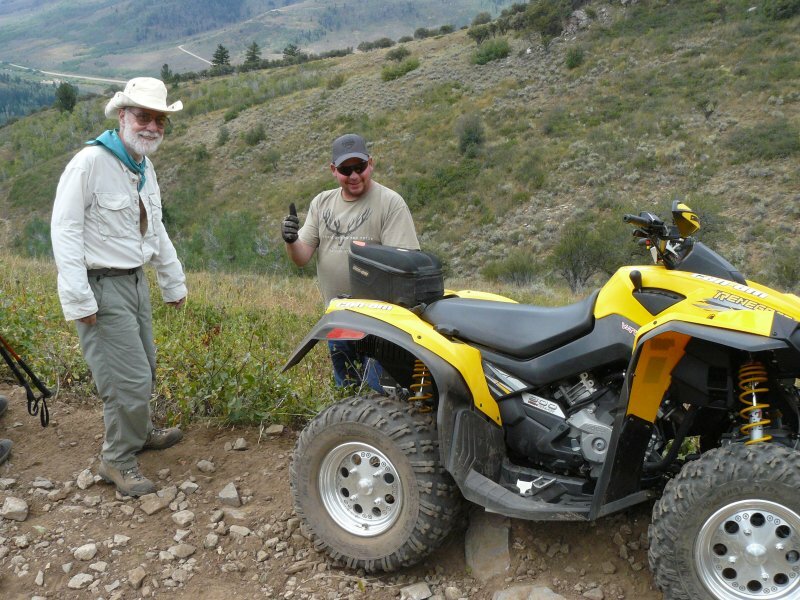 At one point we helped an ATV rider get his vehicle back on the road (see photo). 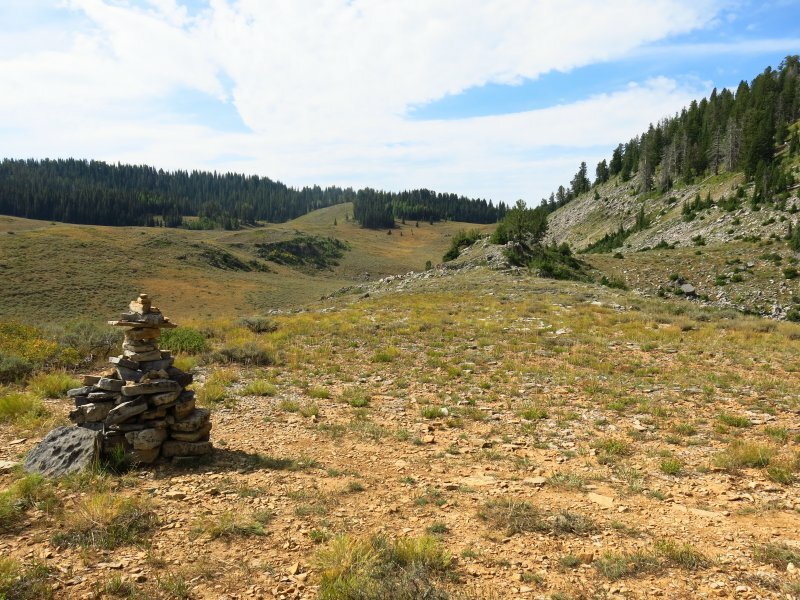 It was a steep and rocky trail at times but with great views of Logan Canyon and high peaks. The group stopped for a break where someone had left their ATV unattended. We came down through sagebrush and aspen and eventually met the others at the cars where beaver activity was evident. Trail Notes: The "official" trail near the bottom of Stump Hollow has nearly disappeared from lack of use since most trail users travel on the old double-track route in the bottom of the drainage. 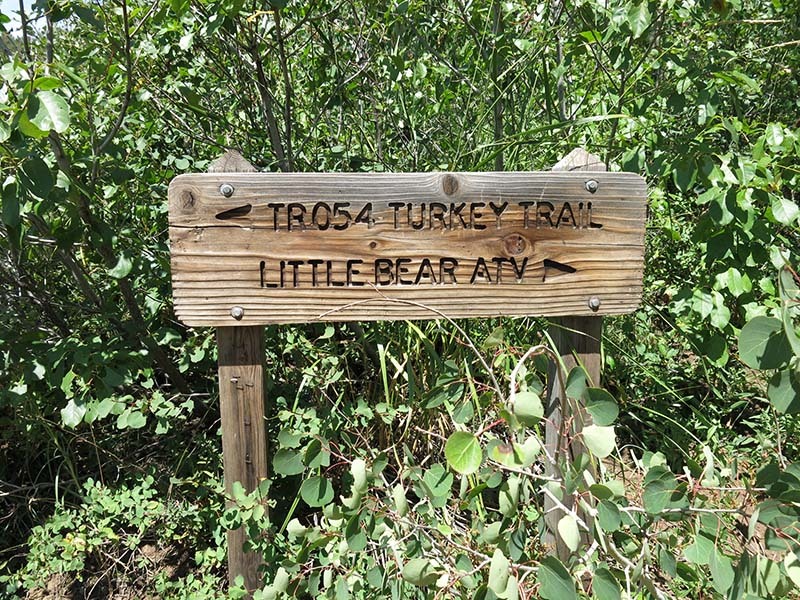 The steep grade and rocky, torn-up tread (from ATV traffic) on the Turkey Trail made for unpleasant hiking. Trail near the West Hodges Trailhead is muddy and deeply rutted due to nearby beaver activity.